Submitted by admin on Wed, 12/19/2018 - 17:27. Our next meeting will be Tuesday, January 15, 2019. A journey into how to calculate Pi! With a brief introduction to Code Katas. Paul Webber has been involved in the software industry for over 25 years programming in languages such as SmallTalk, C++, Java and Android. He has worked in many domains in the San Diego area with a strong interest in Agile Development practices. He has been involved in several volunteer organizations such as the Boy Scouts of America, Botball, The League of Amazing Programmers and the 100 Year Starship Program; giving back to the community. Paul has been the President of the SDJUG since 2001, actively coordinating the monthly meetings. 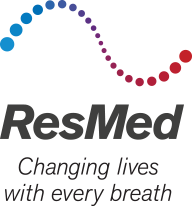 Currently he is working at ResMed, a company committed to changing lives with every breath. Oracle Java Champion.